Heikki Seppänen graduated from the Sibelius Academy as a church organist in 1984 and completed a conductor's examination in 1987. He studied the organ with Eero Väätäinen and Sirkka-Liisa Jussila-Gripentrog and voice with Esa Ruuttunen. He also studied choir and orchestra conducting with Matti Hyökki, Ulf Söderblom and Prof. Jorma Panula and attended the conducting class of Professor Yuri Simonov in Moscow. He has conducted the Turku Castle Chamber Choir, the Brahe Djäknar male choir, the Florakören female choir, Vox Cantorum and the Estonian Philharmonic Chamber Choir. He has also conducted the Musicians of Turku Castle chamber orchestra, which he founded, and he has conducted several concerts with the Helsinki Baroque Orchestra, the Drottningholm Baroque Ensemble in Sweden and the Moscow Symphony Orchestra. 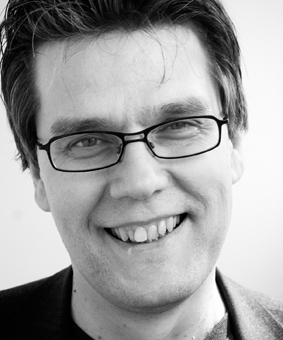 Heikki Seppänen has been senior church musician at Hämeenlinna Church since the beginning of 2014.